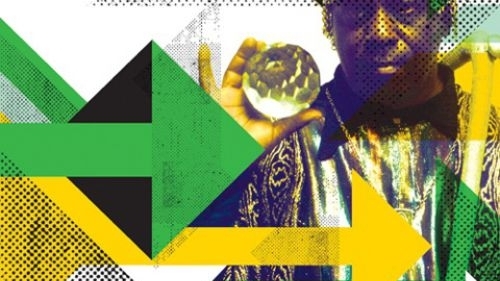 A place where space, pyramids, funk and politics collide, Afrofuturism is one of the most imaginative ways of re-defining and re-imagining black identity in the past, present, and the future. It is all encompassing - bridging everything from spirituality to hip hop, art, fashion, comic books, science, and, of course, film. Throughout October we will take a closer look at all of these areas, kicking off with a special focus on Sun Ra, the original Afro-naut and free jazz pioneer, in celebration of his centenary. Yours and mine favourite musician from Saturn, Ra was an experimental jazz genius who blessed us earthlings with cosmic vibrations and stellar tunes (not to mention an awesome glitter-Egyptian wardrobe). Rare documentary Sun Ra: A Joyful Noise (Thu 2 Oct at 20:30) takes a closer look at the man himself, after which we'll be inviting you to join the Mothershed (see what we did there?) for a Funk Upon A Time Party (from 22:00 - late in the Café/Bar) hosted by Ujima Radio's Universal Magnetic Show Crew. The season continues with films dedicated to Afrofuturist legends new and old, such as the Godfather P-Funk George Clinton (George Clinton: Tales of Dr Funkenstein, Sun 5 Oct at 18:00) and blockbuster king Will Smith (I Am Legend, Sat 11 Oct at 17:30), and emerging writers and animators can take part in our Flash Fiction (Sun 5 Oct) and Animation (Sat 11 Oct) workshops. There's also a whole host of rare documentaries, stunning shorts, and even a feminist sci-fi film featuring whistle blowing girl bicyclists swooping down on would-be attackers. Afrofuturism is a diverse programme, for a diverse audience. Get up to get down and discover a world (or indeed worlds) where today's boundaries blur into insignificance. Watershed's Afrofuturism season is curated by Dr Edson Burton. Edson has written this article about Afrofuturism's influences and influencers, inspirations and ideas - including his own personal journey. Part of Sci Fi: Days of Fear and Wonder, part of the BFI's huge celebration of science fiction, the world's most popular film genre, in Bristol and Beyond. Check watershed.co.uk/scifi for all the latest out of this world events. It's inner city versus outer space in this gutsy, funny and scary sci-fi that centres on a multicultural crew of street kids who must save their estate from an alien invasion. John Akomfrah's seminal work on Afrofuturism, an engaging examination of the relationships between Pan-African culture, music, science fiction, intergalactic travel and computer technology, is one of the most influential video-essays of the 1990s. Experience Afrofuturism in the short form and discover some of the edgiest up-and-coming cinematic voices in this shorts programme from Africa in Motion. You are cordially invited to experience (or re-experience) this Sun Ra sci fi classic, one of the most elusive cult music films of all time. Our hero travels through the cosmos in his music fuelled spaceship, offering a new way of life for the black people of Oakland on a planet where the 'vibrations are different'. A wonderfully strange filmic adventure, one we should all get on board for for this late night screening! This simply titled 1992 documentary is a wonderful window into a specific time in the history of black science fiction in literature, film and television, featuring interviews with key figures from across these artforms including Nichelle Nichols (Uhura from Star Trek) and authors Octavia Spencer, Samuel R. Delany and Mike Sergeant. A bold and brilliant fusion of sci fi and feminist politics, a comic fantasy of female rebellion which sees a huge army of women in New York join together to take down The System. Even thirty years on, there's still nothing like it! Will Smith, summer blockbuster king and the consummate smart talking good guy, was the world's most famous Sci-Fi hero in the new millennium. He has saved Earth and greater humanity more times than we can count, but this time, in 2007's apocalyptic I Am Legend, he has a more difficult job to do. Followed by an illustrated talk on black superheroes. X-Men's Storm, the Blade films, the Black Panther character. Black superheroes have inspired young and old, artists and filmmakers. Now, children aged 10-16 can explore their superhero alter egos in this special workshop led by Bristol-based filmmaker and animator Michael Jenkins where they will create puppet versions of their hero selves and animate them. We present Don Lett's hilarious and colourful profile of the godfather of funk George Clinton, whose 50-year career has defined the genre, from his 1950s days running a doo-wop, through the madness of the monster Parliament/Funkadelic machine of the 70s to his late 90s hip hop collaborations with Dr Dre and Snoop Dogg. Imagine where Bristol will be in 2214 - what will it look like, and how will we live, work and play? Guided by acclaimed writer Courttia Newland, this is your chance to hone your writing skills by creating super short sci fi stories at these free workshops for 14-18 and 18-24 year olds. Hop on board the Mothershed for a funktastic party presented by Ujima Radio's Universal Magnetic Show Crew, with Afrofuturist themed visuals by Adam The Media Assassin, and sonic-time-travel provided by DJ's Awkward & Benjamin One. To help celebrate the 100th anniversary of experimental jazz great Sun Ra we present this rare documentary (named as one of the 50 greatest music films ever by Time Out), a stunning look at this one of a kind Pharoah musician from Saturn.